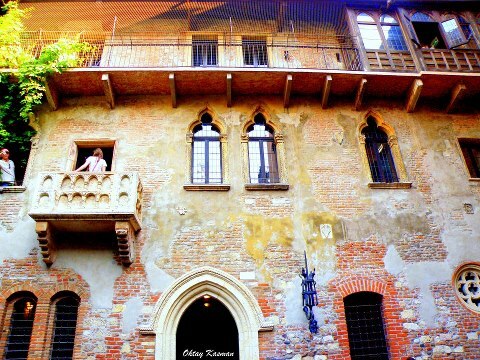 If you would like to see a lovely old building then visit this 13th century house in Verona but if you want to see the balcony of Romeo and Juliet then Verona is not the place. The balcony in Shakespeare’s play doesn’t exist, at least according to the experts. Anyway Shakespeare’s stage instructions called for a window scene and not, as commonly believed, a balcony scene. Verona has so many absolutely wonderful attractions that the Romeo and Juliet balcony shouldn't be top of your sightseeing list. To be honest this is a bit of tourist trap. The house has nothing to do with the fictional characters in Shakespeare’s play and, from what I understand, the balcony was only added in the 1930s. Need somewhere to stay in Verona? Try these hotels! You won’t get many involved in the Verona tourism business to admit that – it might just ruin a great bit of marketing. If, like me, you are a romantic soul and can never get enough romance then visit our map page to see where the house is and some other lovelier Verona attractions are. Actually, despite me sounding a little cynical in the previous paragraphs, I'd still suggest you visit. I hate to admit it but it is actually a little romantic and anyway, how could you come all the way to Verona and not be able to tell people you visited the balcony. The good news is that you can wander into the tourist infested courtyard and see the balcony at no cost. However, should you want to go into the "museum" and stand on the balcony then you will have to pay. My advice is don’t bother. 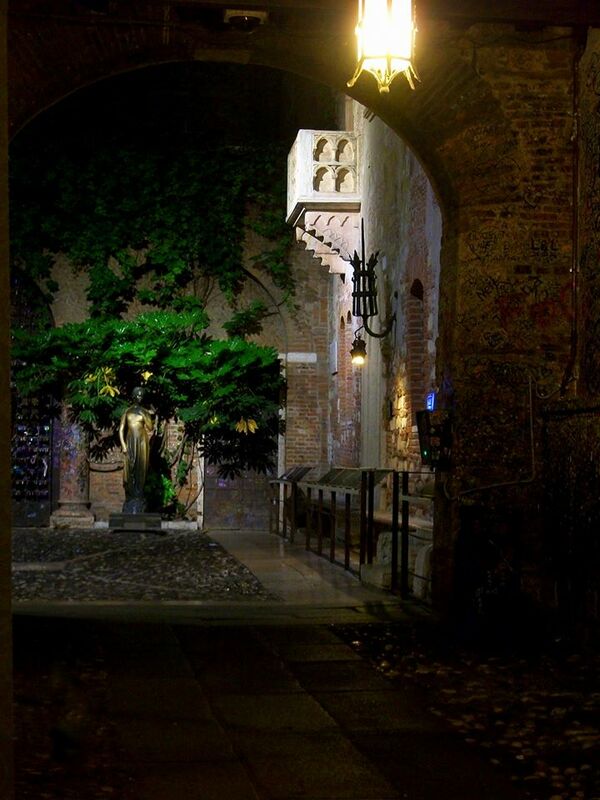 My Tip: Wander past at night and the whole courtyard looks way more romantic. Perhaps follow that up with dinner at Romeo's house - here's more on that.